Ballygalget hurling manager Johnny McGrattan is critically ill in hospital after suffering a fall at his home. The former Down senior hurler is in intensive care at Belfast's Royal Victoria Hospital. The accident came a day after he coached his team at the Down senior hurling championship final on Sunday, where they lost to Ballycran. 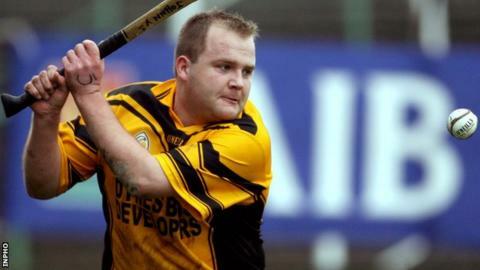 The 38-year-old former Down player won a National League Division Two and an Ulster medal with his county. He is also a two-time Ulster medallist with Ballygalget and was the 2005 Ulster hurler of the Year. McGrattan, from Portaferry, has also won nine county club championship medals. His wife Louise and the family circle have expressed their gratitude to all the staff in the intensive care unit at the Royal Victoria Hospital and have asked for prayers for a full and speedy recovery for Johnny. "We have received so much support from the GAA community throughout Ulster, Ireland and beyond, and we are so grateful for all the good wishes that have been conveyed to us," said Johnny's brother Peter on behalf of the family.